So began an April 2016 blog post by Marc-Andre Leclerc. His experience was something that most of us can only imagine in dreams, yet the way he articulated it—honestly, plainly, heartfelt but understated—his stories flurried through my imagination like spindrift and falling rime. I never forgot his name after reading those humble words about his mind-bending forays in the Canadian Rockies. Leclerc was one of the very best, most well-rounded climbers in the world, but many people wouldn't know it. Even among climbers, he was often off the radar, but maybe that's because many of his bold—and frequently solitary—exploits took place on formidable mountains in remote places in the middle of winter. How many people are going to be around to take notice when you quietly set off to solo Patagonian towers in the most daunting conditions? Which is what Leclerc did. In September 2016, he completed the Winter Link-Up on Torre Egger in a 21-hour push for the peak's first solo winter ascent, and in the process, he finished an impressive trifecta: solo climbs of all three main peaks of the Torre group. (In 2015, he'd soloed the Corkscrew Route, a composite grade of approximately 5.11d WI5 M4, 90 degrees, 1200m, on Cerro Torre and onsight free soloed the Tomahawk to Exocet link-up [5.8 M6 WI6, 900m] on Aguja Standhardt on September 24, 2015, just one day after the Vernal Equinox.) And those ascents are only a few lines on a long and impressive list of accomplishments that includes a free ascent of El Capitan's Muir Wall (VI 5.13c, 900m) and 5.13 X trad climbs in addition to his huge alpine solos such as Infinite Patience on Mt. Robson's Emperor Face (VI 5.9 A2, 2500m). The climbs that generally attracted him most were creative ones in quiet corners of wild places, such as the recent first winter ascent of Mt. Slesse's Navigator Wall, which he finally completed with Tom Livingstone in January after waiting years for the right conditions. "The two types of climbing that get me really motivated are doing new routes, or interesting solos," he told Alpinist in 2016 after his Torre Egger ascent. 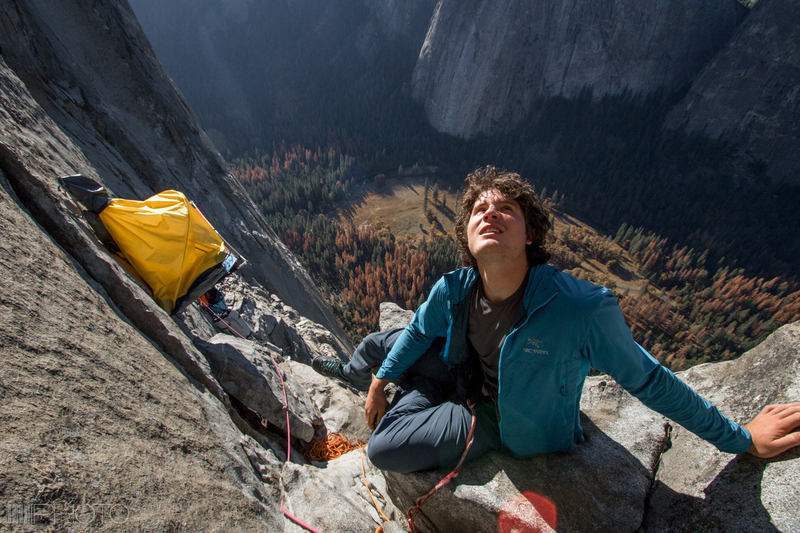 "I like applying cool soloing tricks and systems to these big mountains, it's a bit of a tech-nerd thing I guess. I am not so motivated by grades or records, but more by big adventures and being immersed in wild places. Being alone really intensifies this." 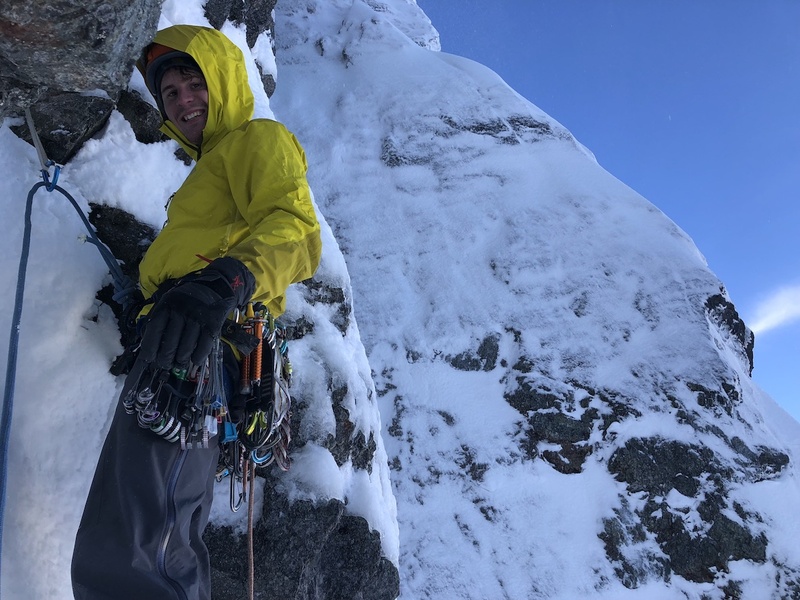 Leclerc's final ascent was on March 5 when he completed a new route up the north wall of the Main Mendenhall Tower near Juneau, Alaska, with Ryan Johnson. The two men sent texts and posted on social media while on the summit but disappeared on the descent during a storm. "I have never met a climber with Marc's rare combination of thoughtful intelligence, inspired creativity, brilliant talent and unassuming modesty. He was unique. I feel so privileged to have known him and am deeply saddened that his flame burned so briefly," said Bernadette McDonald, a climbing author and historian who wrote a profile on Leclerc for an upcoming edition of Canadian Rockies Annual. 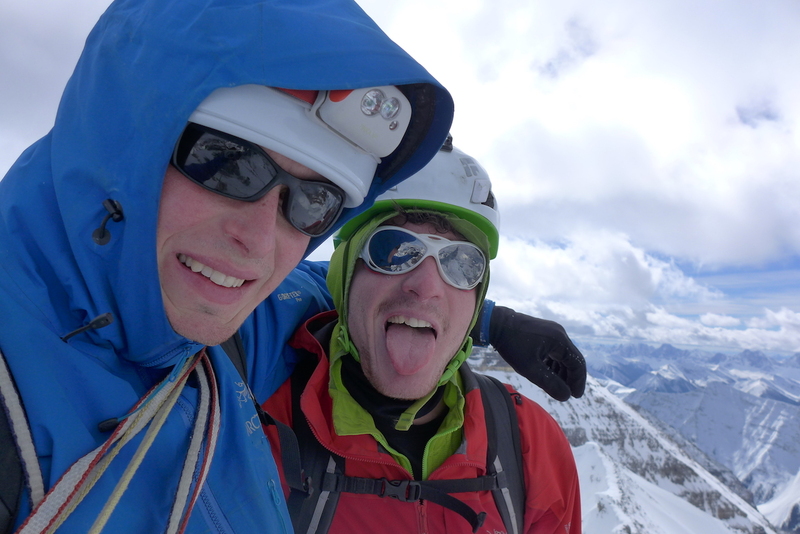 "Marc was an exceptional young man," wrote Sonnie Trotter, a top Canadian climber, in an email to Alpinist. "I first met him in 2008, I believe; he was about 15 in a Squamish coffee shop. Above and beyond his obvious talent, he was naturally inspired. One of the most wide-eyed humans I've ever met. I believe it is that rare, raw, pure inspiration he had inside of him that kept him moving into the mountains so often and doing what he loved. He gained a tremendous amount of experience in a very short amount of time, and when you combine his experience, with his passion, and his natural talent, it's just amazing what he was able to accomplish. He was a very joyful climber, and he will be sorely missed by his family, friends and our community." Leclerc, 25, grew up near Vancouver, in the rural community of Agassiz, British Columbia. A profile story by Drew Copeland for Climbing quotes Leclerc saying, "As a kid interested in the mountains, it really could not have been more ideal: an infinite amount of hiking and scrambling big and small stuff, and no rules or 'established norms.' It was an independent, choose-your-own-adventure learning style." 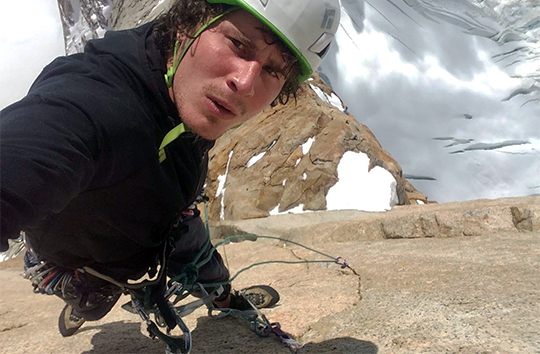 Leclerc's longtime girlfriend, Brette Harrington, told Alpinist, "His school years were the worst years of his life because he felt constricted by the classroom. He continued to have nightmares about school even at the age of 25." But in the mountains, a love of learning came naturally. In a 2013 interview with Chris Van Leuven about his speed solo of the Chief in Squamish, he said, "I got really psyched when I was pretty young—15. It was hard to find partners sometimes. I had six-pitch routes near where I went to high school. I would try multipitch routes alone, figuring it out as I went. There are tricks people do to solo walls more quickly. I taught myself these tricks." In that same story, Squamish climber Chris Geisler, who is credited for teaching Leclerc a three-daisy-chain method for speedy aid climbing, told Van Leuven, "Marc has a strong mind and has been working on strengthening his weaknesses for a long time. This is just the beginning. Just warming up, before Marc actually knows what he'll truly be able to accomplish." The following segments were written by friends and partners of Leclerc. Marc had figured out what he loved and what made him happiest. He was a true explorer and fell in love with the beauty of the alpine, and the peacefulness of the ice caps. As for climbing, Marc was only interested in the climb if it was going to be enjoyable. This was his life philosophy, "Enjoy what you are doing, or it is not worth doing." Whenever we started up a climb and our bags felt overly heavy, he would quickly shift our plans so we would not do any unnecessary suffering. If he woke up feeling tired before a climb, he would go back to sleep and change his objective. If I was cold, he would warm my feet on his belly, and boil me water in the middle of the night. He was the best partner I could ever imagine. His idea of romance was being in the mountains. He would say it to me time and time again, "This is the most beautiful place" and, "what a perfect place to have a date." Marc loved being in the mountains, but he especially loved being in the mountains with me. I feel so privileged to have had such an amazing, wonderful, gentle and truly inspiring person in my life for so long. He made a positive impact on everyone he met, giving them 100 percent of his energy. Marc saw the best in people, even when those people couldn't even see it in themselves. He had a vision of the world that stemmed straight from his heart. He admired and loved the beauty and vastness of the alpine terrain, the ice caps, the cold North and South poles. He cared about more than just the climbing; he cared about the exploration. Marc was a true explorer and was not fearful to follow that path. Marc lived life to the fullest.... He was happy with what he had, and appreciative to be exactly where he wanted to be. Small tasks were taken with the upmost care, such as fastening his backpacks or rolling up his kits. He was so precise and so careful with everything. He never jumped in over his head with anything. Instead he analyzed everything meticulously before attempting it. His brain was wired for strategy, he trained it to be this way, which is why he was such a genius when it came to climbing. It's because he was constantly thinking about the mountains. Of course he had other interests and worldly concerns as well—he loved to speak Spanish, which he learned exceptionally fast, and had many close friends in Argentina. He and I spoke Spanish together every day. Anything he was interested in he became obsessed with, which lead him to mastery. Marc had the ability to focus all of his energy into one thing and break it down until it was completely understood. He loved animals as well. He had many goats as a child growing up on a farm, and he had a real connection with all animals we encountered. We would spend weeks outside living in the forest, and climbing everyday, all the while observing the forest creatures, animal tracks and other companions. He loved to ride horses and explore the mountains on horseback.... His spirit is made to run, explore and be free. I know he is at peace among the vast ice caps and granite peaks of Alaska. I met Marc-Andre in Patagonia in January 2015.... I was climbing with Slovenians Luka Krajnc and Tadej Kriselj on this trip.... During our rappels down the southeast ridge of [Cerro Torre], Marc passed us, as he was way faster knowing the rappel anchors and rappelling alone. He just shortly mentioned that he soloed the Corkscrew, but what I remember more is that he was really radiating a good energy of a man living his dreams. In the evening of the same day, we met again in a crevasse on Col de la Paciencia, where we all spent a night. I got the feeling I would like to get to know him better and maybe climb with him one day. 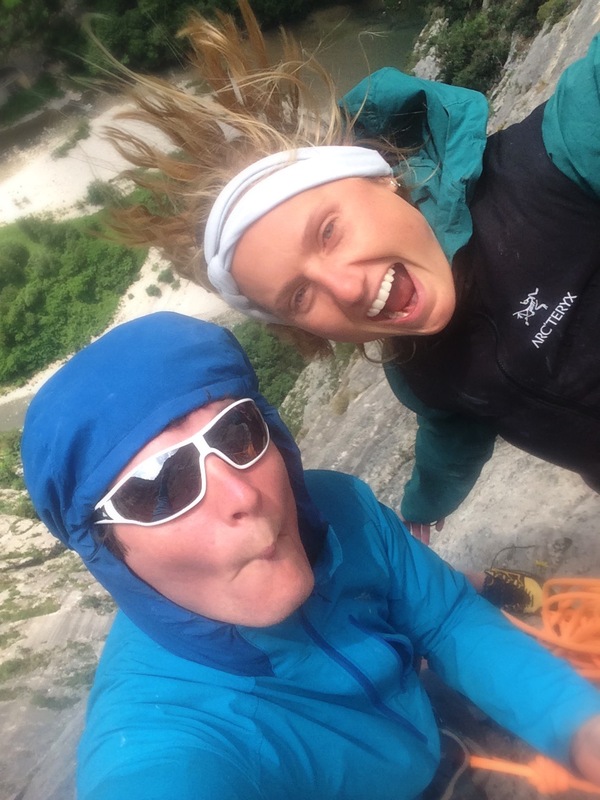 The same year, we met in Chamonix for work with our sponsor and in Verdon where he was on a climbing trip with his girlfriend Brette Harrington. We made plans to meet next spring in the Canadian Rockies for some alpine climbing. At the end of March 2016, he picked me up at the airport in Calgary, and we started a three-week alpine climbing mission. We tied together on the rope for the first time on the north face of Mt. Temple and climbed the Greenwood-Locke route in a day. From the first moment on, our rope team worked well, and later we climbed three new routes in the Valley of the Ten Peaks. Among them also one on the north face of Mt. Tuzo. This climb will forever stay a special memory for me. First, because we managed to climb a very hard new route on a big face, and secondly but more importantly, because this climb represents for me what Marc really was: a master of improvisation and staying positive. Initially we went to try the east face of Mt. Fay but avalanching conditions forced us to turn around. Then our food/gear [cache] was destroyed by an animal but we kept going with "let's just explore a bit" in mind. At the end we ended up spending two nights on the wall going deep into hunger and dehydration, but we made it back safely and very happy. During the next few days, we ended up chilling up in the Canmore area. We ate a lot. We realized we both love trail mix and ended up buying kilos of the one named "Temptation Mix" in one of the grocery stores in Canmore. Often we went to sit on the sun and relax next to the Bow River. He really loved being in the nature. We exchanged music, he liked the Balkan band Dubioza Kolektiv and I picked up Emancipator from him. The sounds they are often creating reminded us both of the cold, cold days in the mountains. We kept meeting each other in many other places. In Poland we met after his slideshow to climb in the Tatra mountains. We partied a lot on this short trip with lots of bad weather. He was always living fully the moment whether it was good or bad. 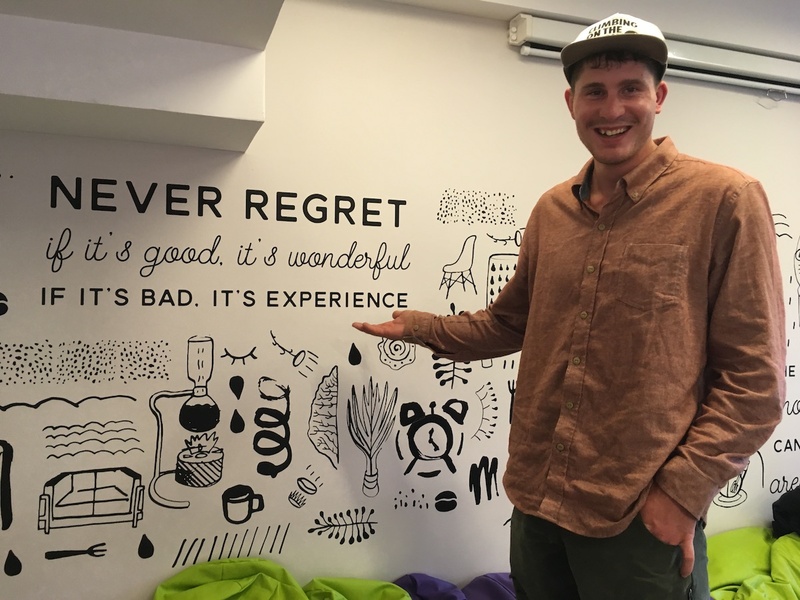 One day we were sitting in a dining hall of one of the universities in Krakow and I saw a saying written on the wall: ["Never Regret / if it's good, it's wonderful / If it's Bad, It's Experience."]. I thought it described so well how Marc-Andre was seeing things in life that I asked him if I could take a photo of him next to it. After the last party, he almost missed his flight back home. 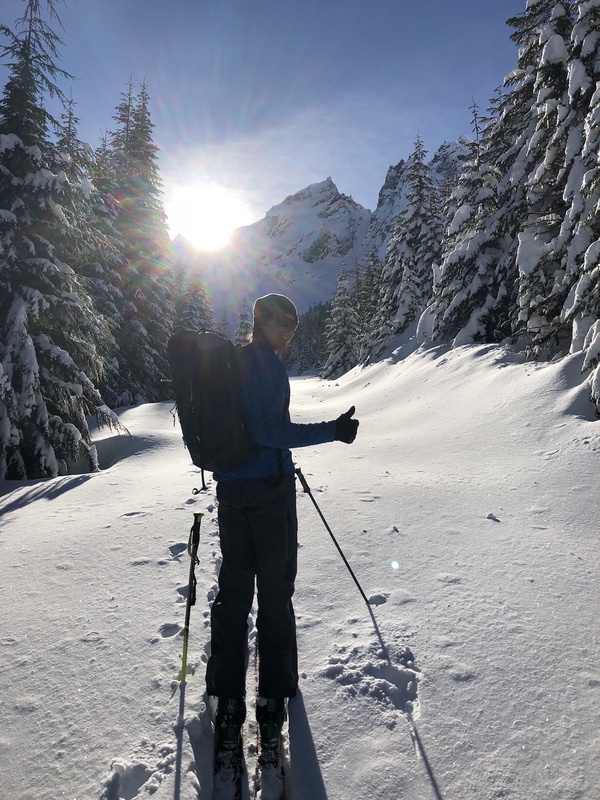 When he got back home, he immediately wrote to tell me how incredible the conditions were this year for ice climbing in BC and that I should come to try Mt. Slesse's east face with him. We then spent January 2017 carrying gear, trying to climb a bit but mostly getting totally shut down. But I saw why he really was in love with these mountains. It was his paradise. A place full of big mountains and very few people, especially in winter, and all this basically almost above his family house. It's when not everything is going perfect that you really get to know your partners or friends. Marc-Andre always stayed positive and calm. I never heard him talking bad about someone or complaining in general. During the times we met, we were talking more and more about things besides climbing. He never forgot to tell how proud he is of his "lil B"—as he called his girlfriend Brette. During our last trip together to Patagonia, he mentioned he would like to get more into writing and even write fiction novels one day. If his books would be so full of imagination, new ideas, boldness and good energy as his life was, they would be bestsellers. Marc was so casual and laidback one could almost forget his world-class accomplishments.... If—or when—Marc's mega proj [on Mt. Slesse] is climbed, it might be a fitting tribute. Very few people have heard of Slesse, but it'll surely be an incredible route. Marc was a world-class climber, but without the ego. He was relaxed, self-assured, and felt no pressure to perform for others because his motivation came from within. He was quick to laugh, patient, kind—and he made the most amazing breakfasts. Leclerc's close friend Brandon Pullan wrote a story for Gripped.com that included many of Leclerc's previously unwritten exploits in the mountains, and of fond memories waiting for the weather to turn. "He was a visionary Canadian climber who pushed limits on rock, ice and in the alpine," Pullen wrote. "He had broad shoulders, curly brown hair and an inviting toothy grin; an unforgettable smile." "Whenever I climbed unroped with my friend Marc-Andre Leclerc, I loved to see the joy that lit up his face. Together, our energy seemed to double, whisking us along in an unconscious dance." A GoFundMe page has been started to raise money for the search-and-rescue efforts and costs incurred by family members who traveled to the Mendenhall Towers to retrieve Leclerc's gear and "understand how it all happened."